Let me first begin by saying, this is not a high resolution remaster of Windows 98 Icons. I am working on that, it'll come later. This package is a Windows 98 theme pack for IconPackager. It doesn't have any Windows 98 themed live folders yet, I am currently working on making those and will update this theme soon when they are finished. 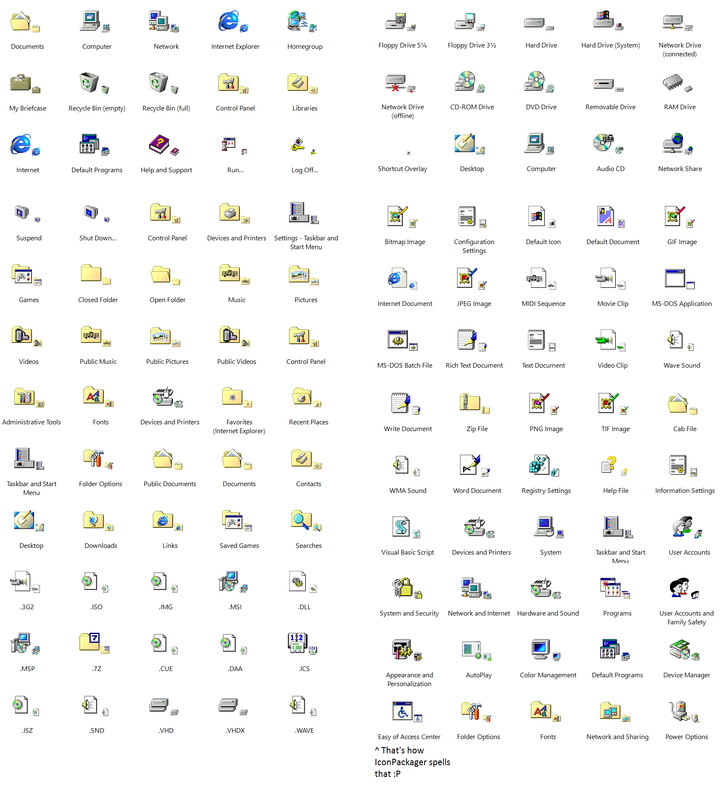 I even made a few custom Windows 98 based icons to cover some Windows 10 items that Win 98 didn't have. I seem to have issues in Windows 10 with IconPackager not applying icon packs correctly and randomly DELETING icons from said packs. look forward to the remaster with live folders very unusual & cool idea thanks. This goes real well with Codewar65's True Classic Windowblinds Theme found at https://www.wincustomize.com/explore/windowblinds/8628/ .